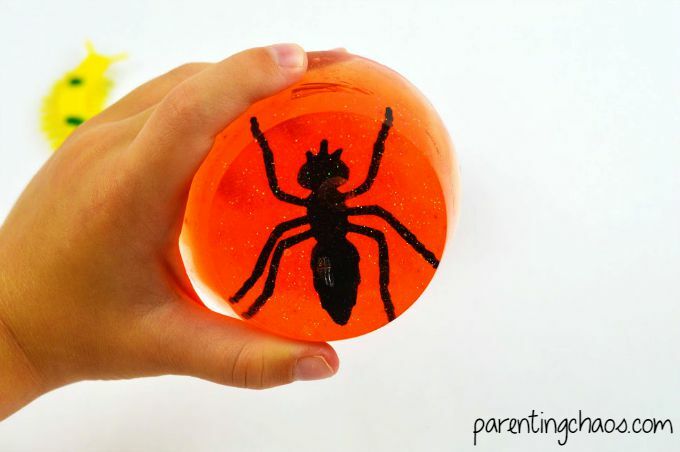 My kids love anything dinosaurs, bugs, or science so you can imagine how big of a hit this Jurassic Amber Fossil Soap was with them! 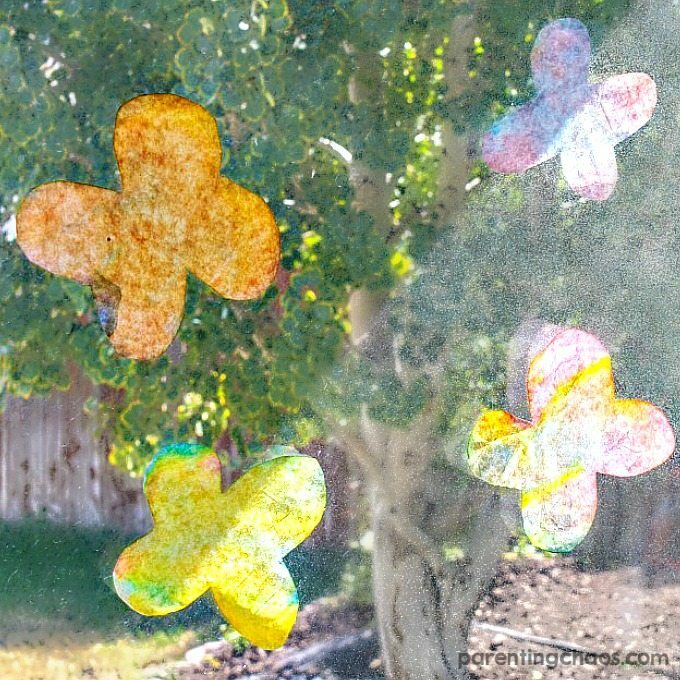 If you are anything like me the thought of crafts such as soap making can seem daunting, but I promise you this is super easy! 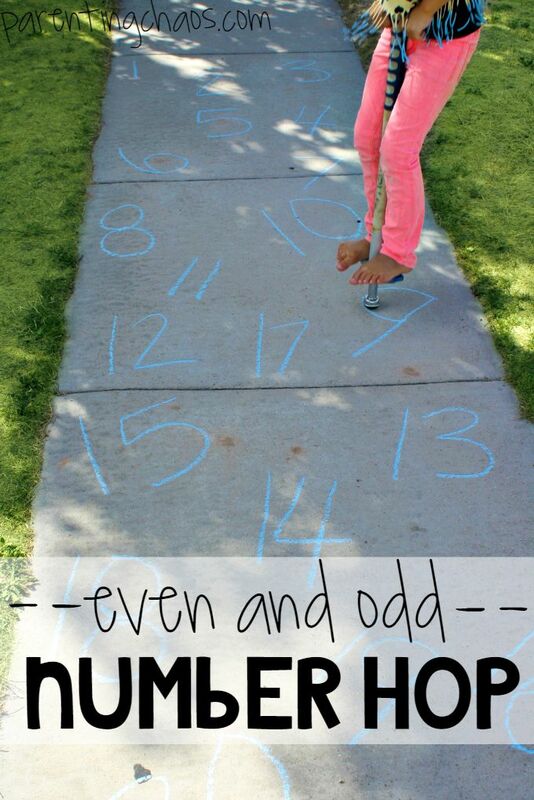 Plus your kids will think you are the coolest mom ever! 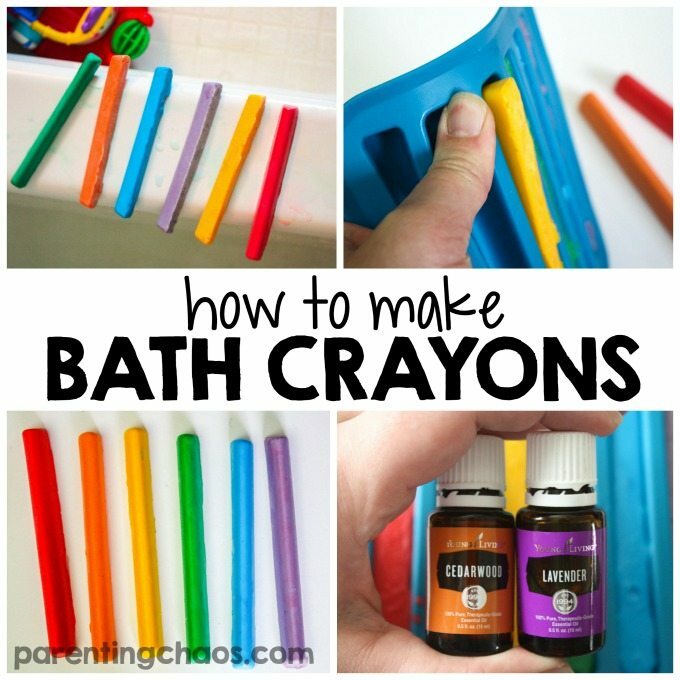 Using your knife, cut your soap into small cubes and place into your microwave safe cup or bowl. This helps evenly melt the soap. 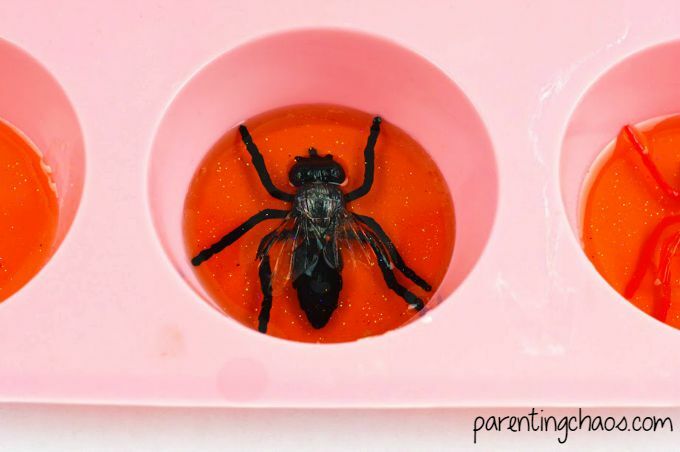 Place the soap into the microwave for 30 seconds. 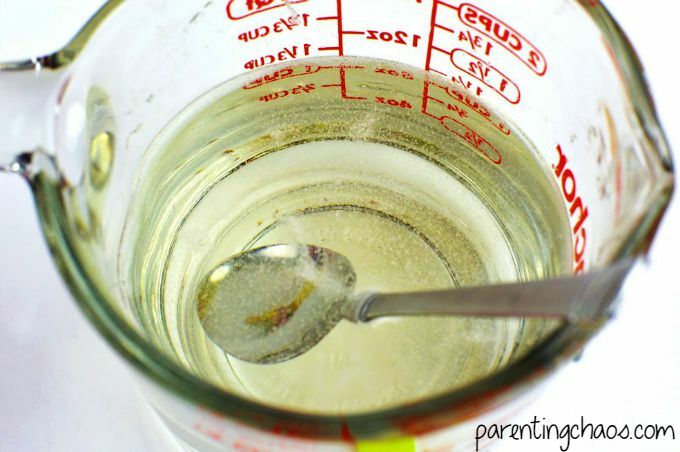 Remove, stir and repeat until all the soap is melted. 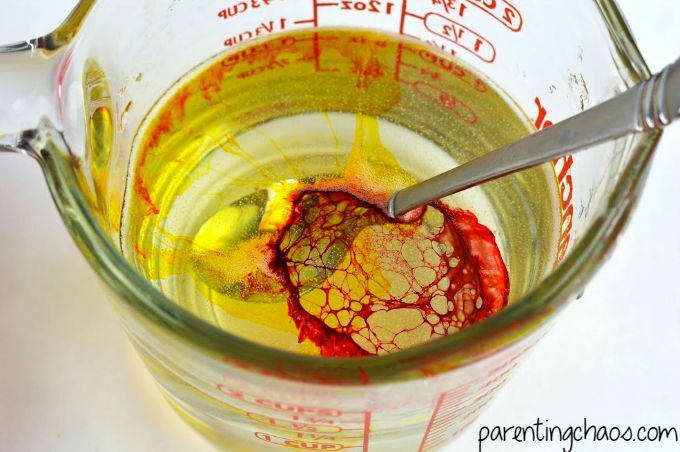 Add 1 drop of red food coloring and 2 drops of yellow food coloring to the melted soap. Stir well. Add your essential oil. You only need a few drops. Stir well. Add the glitter. 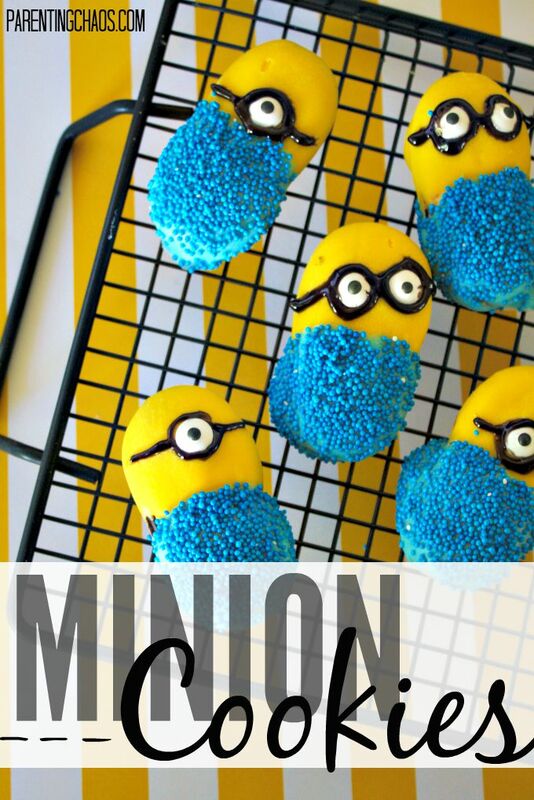 You only need about a teaspoon full. Stir well. 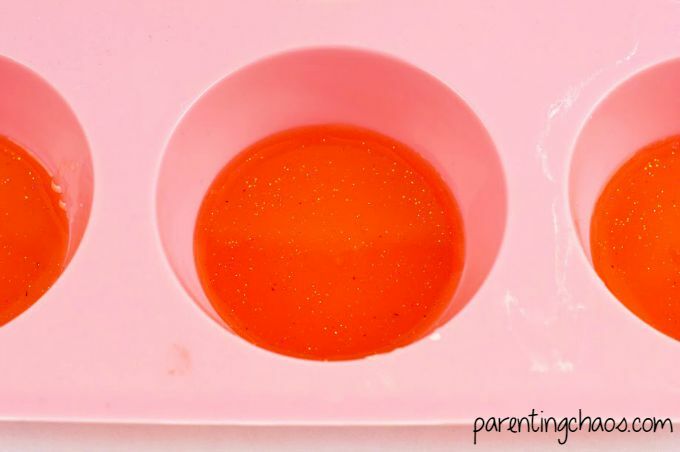 Pour about ½ inch of soap into each cavity of your silicone mold. 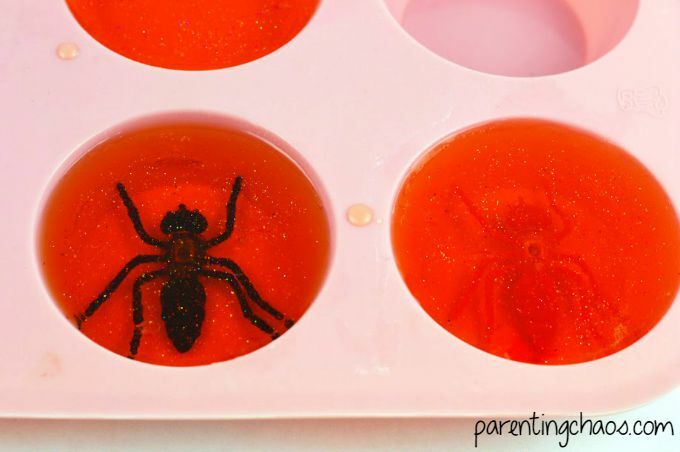 Spritz the bug toys with the isopropyl alcohol liberally and place into each mold where you poured a bit of soap. 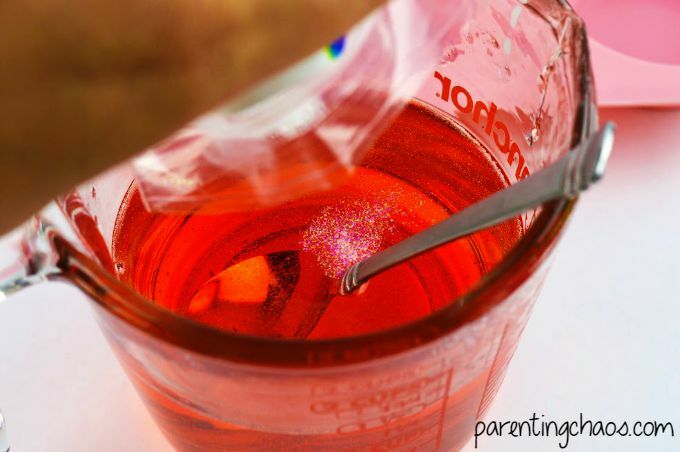 If the toys need to be moved around a little, you can use your plastic pipette to move them or straighten them out before proceeding onto the next step. 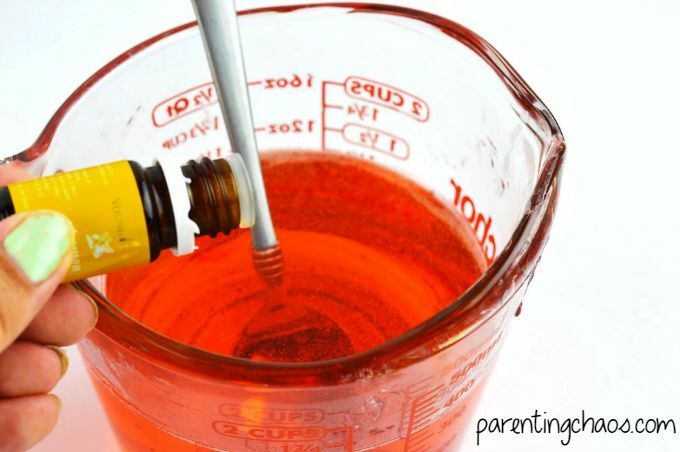 Spray the tops of the cavities with the isopropyl alcohol and then pour the remaining soap into each cavity filling them entirely to the top. 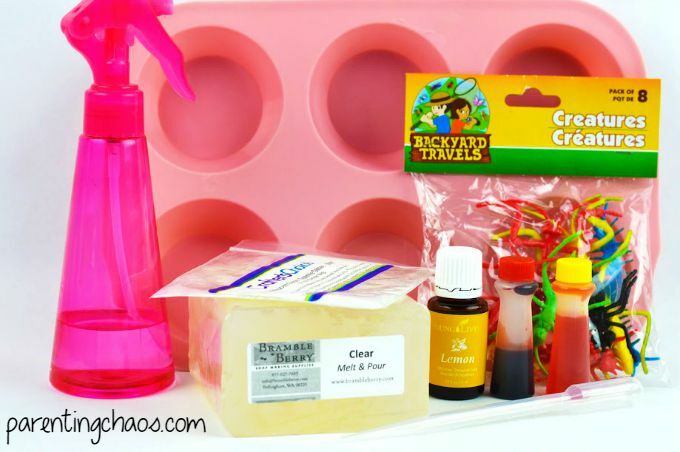 Spray the tops again with the isopropyl alcohol to remove any air bubbles on the surface of the soap. Allow the soap to harden uncovered overnight. In the morning, remove the soaps from the mold by gently pressing from the backside of the mold. The soaps will pop right out. 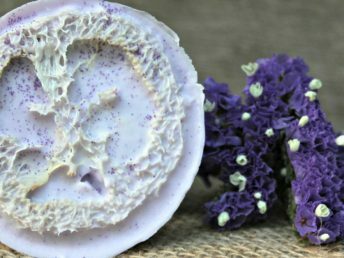 You can use the soaps immediately or wrap in plastic wrap and store in an airtight container for future use. 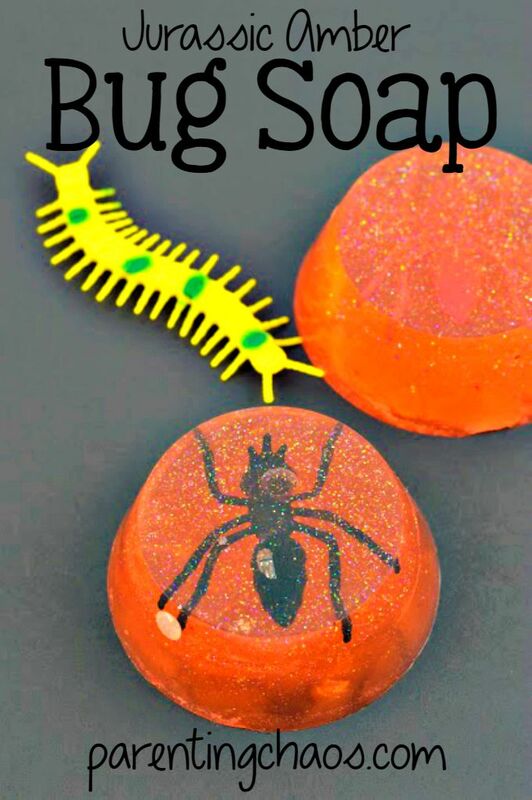 If your family makes this Amber Fossil Bug Soap we would love to see the fun! 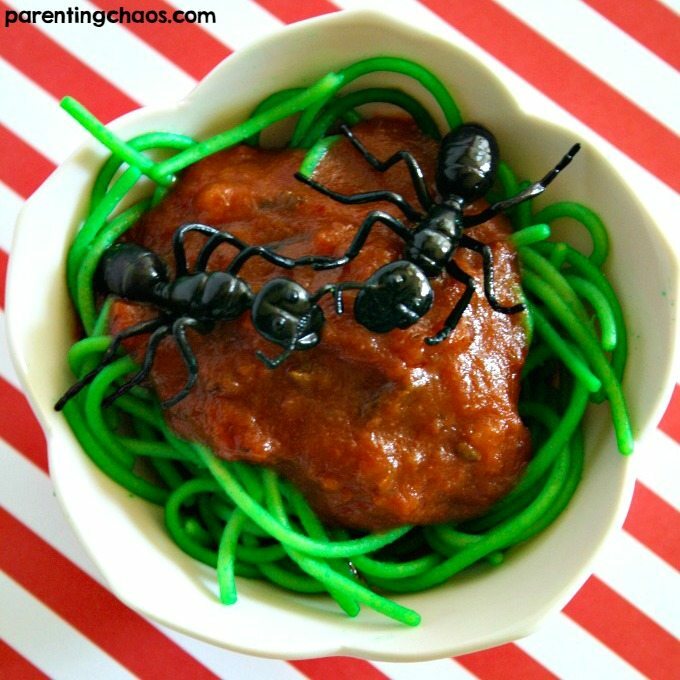 Tag us onFacebook with @Parenting Chaos or on Instagram with #ParentingChaos!